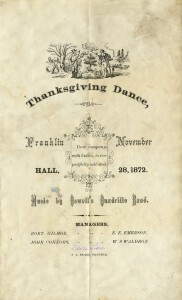 So what did folks do in days gone by on Thanksgiving? Very much the same sort of things we do today. 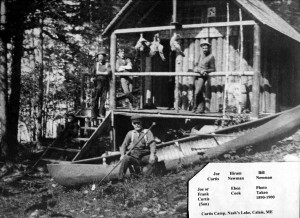 Of course they got together with friends and family and especially in the early days, they were expected to attend church services but they also engaged in sporting and community activities not dissimilar to those of today. 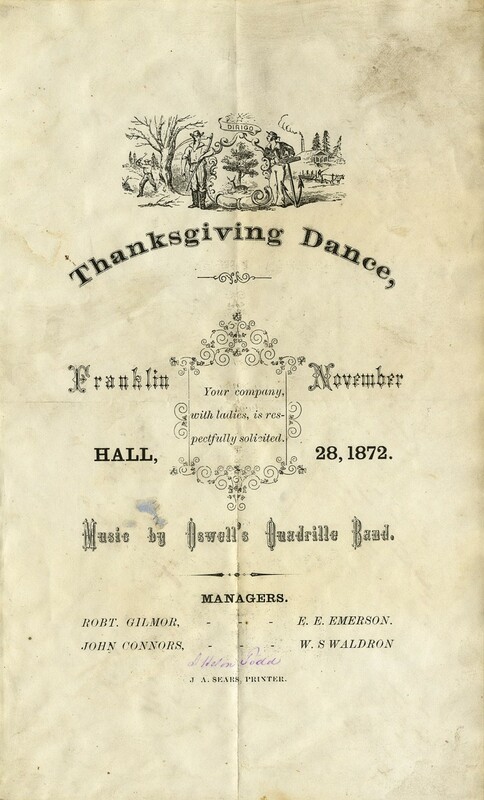 1848- November 16 Thanksgiving Day. Chas., James & I went to the mill & then up the shore. Carried two borrowed bags home to Captn. Nash. Chas. fired at goose at the mill & hit it the first shot, & Mason fired with our gun & hit the first shot. We then went up shore by the Townhouse, where Mason fired & hit another. Chas. fired one & did not hit. I fired twice with the rifle & hit both times. I set up one of the geese & it was hit the third shot by young Kellogg. We then took our two remaining geese & came home. 1848 November 17 We had a roasted goose for dinner. 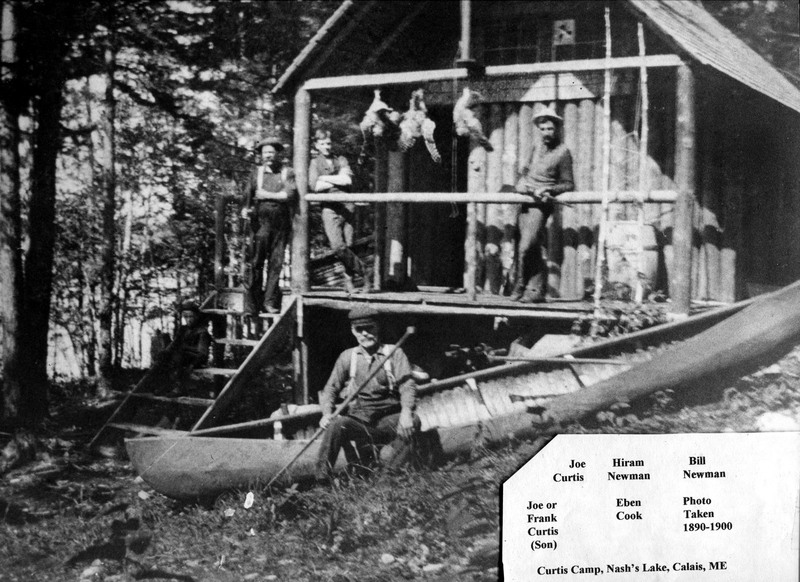 They were probably hunting near what was to become Curtis’ camp in the 1890’s. 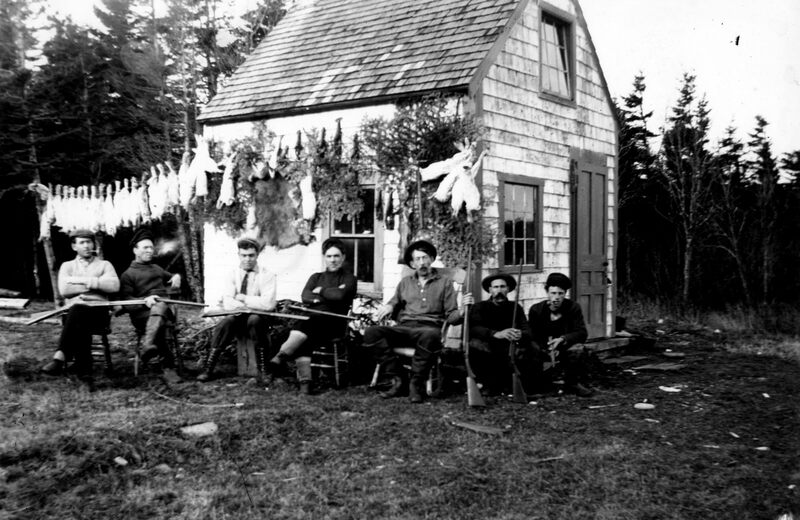 “At Thanksgiving time the men engaged in turkey shoots. A rifle and a cast-off rotary saw were the paraphernalia required for a turkey shoot, not over-looking the poor turkey of course. There was a hole in the center of the saw where it was attached to the driving shaft. In the turkey shoot the saw was set up on end and back of it on a box stood the sacrificial bird, his head stuck out through the hole, his eyes sticking out of his head. In the turkey shoot the man who succeeded in pinking the dodging head of the turkey, and he had to be good to do it, received as reward the dead turkey for his Thanksgiving dinner. A turkey was indeed a fitting reward for so clever a show of marksmanship, for in these parts in those days turkeys were as scarce as hen’s teeth. The rank and file of those Princetonians celebrated the holidays with feasts of pork loin and fresh pork spare-ribs. 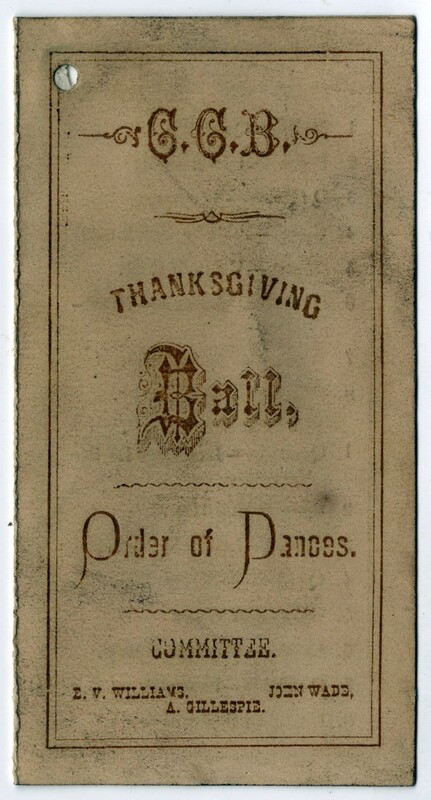 Of course they had plenty of pumpkin pie and mince-meat pie, the latter pretty generally made of contraband deer.” It may surprise readers to learn that there was football on Thanksgiving even before 1900. 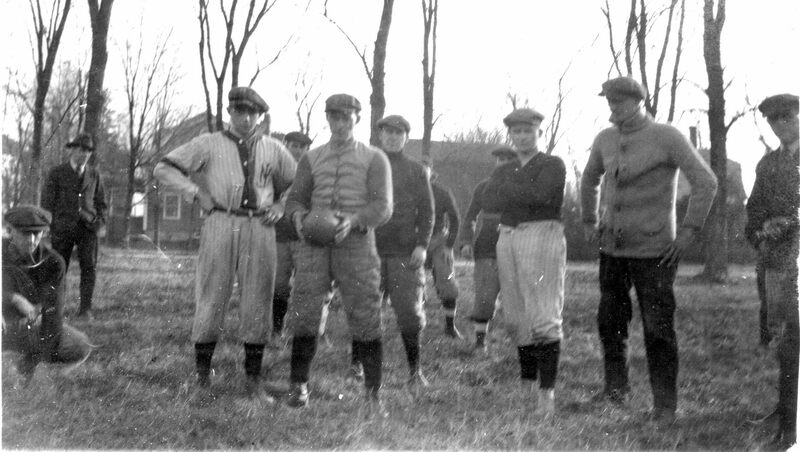 The four towns, Calais, St. Stephen and the two Milltowns all had teams and fierce rivalries from the early 1890’s. The Courier reported on a battle on Thanksgiving Day in 1926 between “ Hop” Corbett’s Ironmen of Milltown and the St. Stephen team which ended in a 6-6 tie. 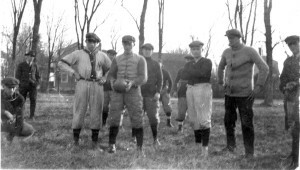 Even before football became popular there was horseless polo which was played either on the ice with a stick not unlike a hockey stick and a round ball or inside at such venues as the Milltown Opera House on Boardman Street and the Calais Roller rink at the corner of Main and Calais Avenue. “Polo November 27, 1884. The Victoria team of Saint John played Calais and after the game they had an oyster supper at Joe Spratley’s restaurant and then came to Milltown Opera House for the Thanksgiving Ball. 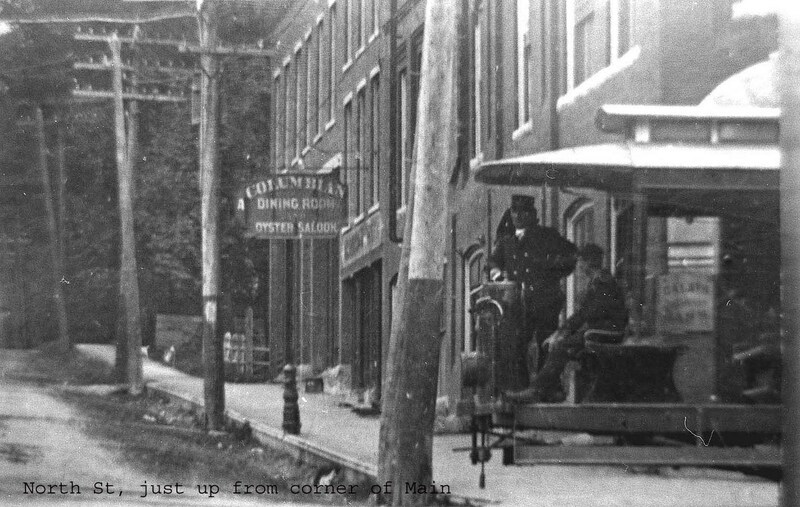 Could you do much more than that in these days of autos?” The Columbia Oyster House was on North Street just above what is now the Urban Moose. 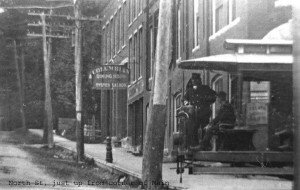 Note the streetcar turning the corner onto North Street. 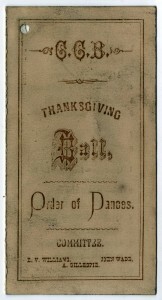 The Thanksgiving Ball was an important annual social event in both Calais where it was held at the Opera House and occasionally in one of the other halls in town and in Milltown which had its “Opera House” on Boardman Street. Built originally as a roller rink in the early 1880’s when roller skating was all the rage it was later converted into the community center and opera house. 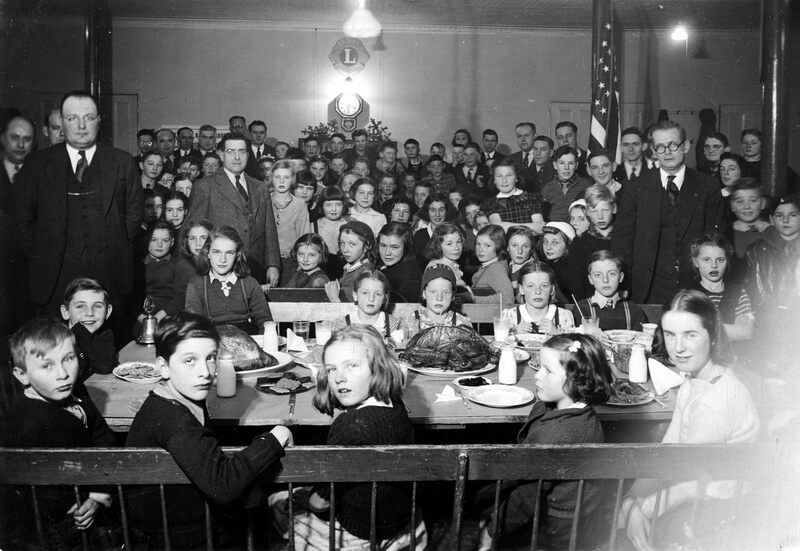 In the past many churches and civic organizations held public, free Thanksgiving dinners. 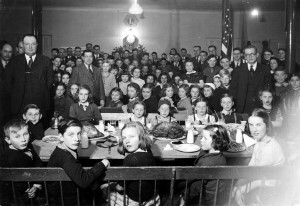 The Baptist Church sponsored one for many years and,in the above photo, the Calais Lions Club saw to it that the children of the community had a proper Thanksgiving during the hard times of the Depression. “Well sir, them fellers worked in circles an’ crossed over, an’ went up an’ down the center till the ground froze. Grandfather rigged ‘em up some nose guards outer old leather boot tops, but it interfered with them eatin’ an breathin’ good, so jest aforeThanksgivin’ we had Web Carlow come down with his outfit. When we come back from town (we never watched th’ proceedings) Web had ’em both trussed up to a big yeller birch in th’ stone wall, all pink an’ white. An’ that field was tore up so’swe never had t’ do a thing th’ next spring, but poke in pertators an’ haul th’ sods over ‘em. – Reverend McColl of St. Stephen preached a Thanksgiving service in Calais in 1815 when a state of war existed between the two communities, taking his text from Colossians Chapter 3, verse 15, “Let the peace of God rule our hearts”. The people on both sides of the border couldn’t have agreed more. – In the early day of the Cotton Mill in Milltown N.B. American Thanksgiving was a holiday while Canadian Thanksgiving was not. This resulted in a good deal of negative press on the Canadian side especially as this also true of the 4th of July, which was a holiday while Dominion Day was not. We’ll end with a century old and apparently famous recipe for Cranberry Pudding from Grandmother Crosby of Alexander who may have been known as Yola. We’ll have to check on this with John Dudley as the recipe comes from his newsletter. CRANBERRY PUDDING (A family recipe that was likely Yola’s) Combine 2 cups cranberries [cut in two] with ½ cup flour. Then add 1-cup flour sifted with 1-tsp. salt, 1-tsp. soda, ½ cup molasses and ½ cup hot water. Pour into greased top of double boiler and cook 3 hours. For a great sauce, combine ¾ cup butter, ¾ cup brown sugar, ¾ cup cream, and ½ tsp. vanilla. Heat in top of double boiler until melted. This is a Thanksgiving special.